My summery Slow Cooker Mango and Lime Cake reminds me of a summer beach holiday, with its tropical fruit flavours. Great on a dull English day! Zingy lime pairs so well with sweet mango. Using Greek yoghurt in cakes gives them a delicious light flavour, and is really good in the slow cooker where you want the mixture to be nice and moist. 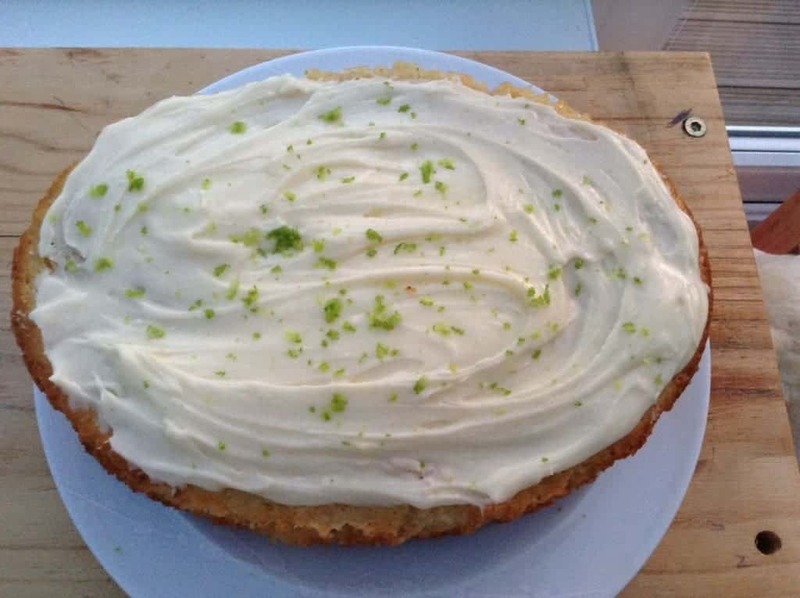 This cake looks tasty even before baking, with the chunks of mango and green lime zest. Cream the butter and sugar together, then add the lime zest. Add the eggs one at a time, and mix well after each addition. Fold in the flour and baking powder a half at a time, and after each half stir in half the yoghurt. Stir in the fresh mango. 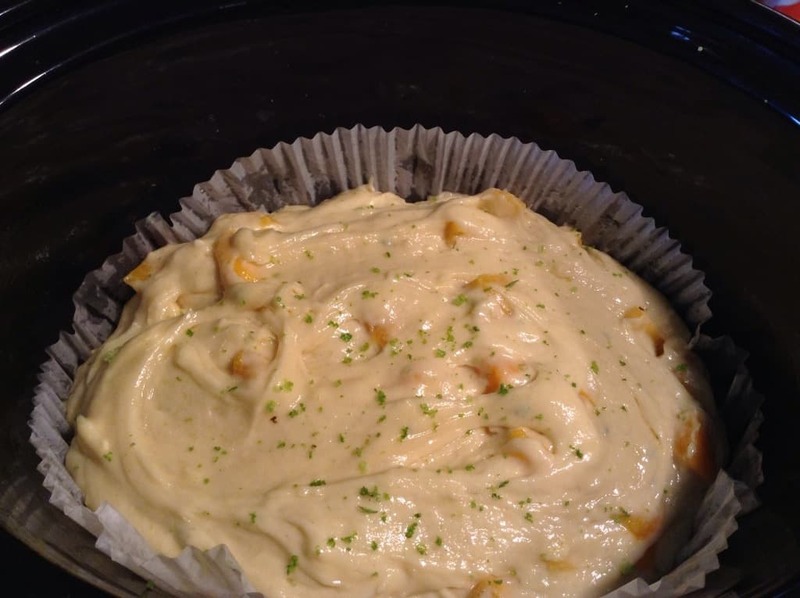 Grease and line your slow cooker pot with either baking paper or a large cake tin liner. Pour the cake batter into the prepared pot. Sprinkle on some more lime zest. Turn the slow cooker onto high and cook for around 1.5 to 2.5 hours or until a skewer comes out clean. Check regularly without lifting the lid to watch out for burning. Remove the cake from the slow cooker pot and allow to cool completely. Mix together the icing ingredients and decorate the cake. 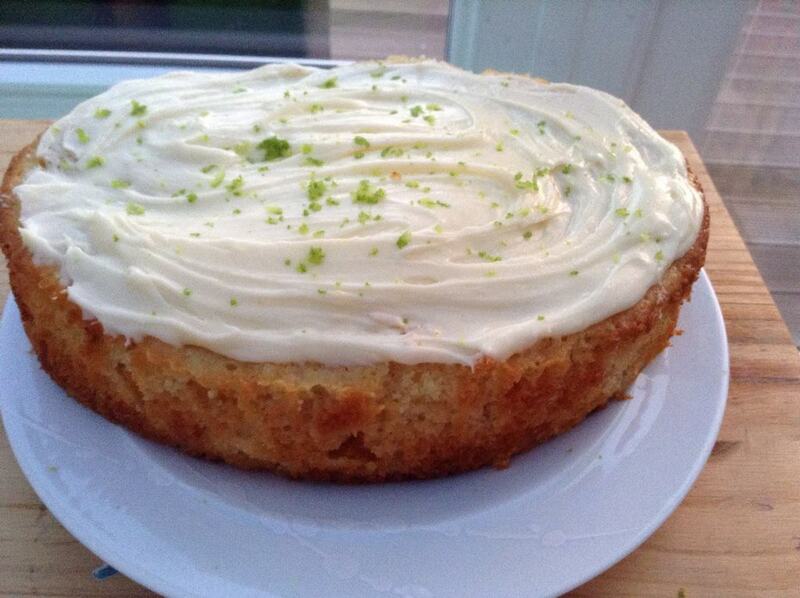 Top with some fresh lime zest. We loved this cake as a treat on a week day after our main meal. Great too with a cuppa!